Across Facebook there are pages such as “Boycott Halal in Australia” which has attracted 67,000 “likes”, and then there are groups such as Halal Choices, which claims buying a halal certified product incurs an “Islamic tax”. Recently, some readers on the Bega District News’ Facebook page commented they would stop buying Bega Cheese products after discovering the company to be halal certified. But this is nothing new, as Bega Cheese has been halal accredited since 1996. This has meant the company can export its products to 40 different countries and has helped it become the economic power that it is today. 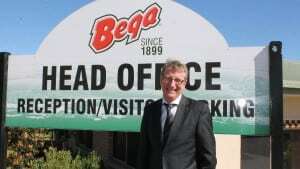 “The accreditation and label means that Bega Cheese is able to be sold in international markets, many of which have a government requirement to include this labelling,” Bega Cheese CEO Barry Irvin said. At Bega Cheese a fee is charged by the halal accreditation body to cover an inspection of the factory’s premises and the issuing of a certification. This so-called “Islamic tax” is not passed onto Australian consumers, but to the export customers. “Our export division pays for all costs associated with product destined for international markets and therefore by its very nature those costs are passed on to our international consumers,” Mr Irvin said. Muhammad Khan, CEO of halal accrediting body Halal Australia, said such a certification is similar to making kosher food. However, in Australia there is not the same resentment of food approved for Jewish people as there is for Muslims. “I do not understand why people are making such a big deal about [halal accreditation],” Dr Khan said. “It has nothing to do with any kind of violent activity. Dr Khan said “Australians are making millions of dollars every month” through the halal industry. He said in 2012, globally the halal food industry was worth an estimated $600billion USD. “Companies are making millions of dollars with halal certification, and the certification costs relatively little,” he said. Even the Reverend Fred Nile of the Christian Democratic Party has joined in the anti-halal sentiment. In a recent press release, Rev Nile said as the Muslim population in Australia is a minority, halal certification “is discrimination against the non-Muslim population who do not want to consume food and buy products which have been prepared, handled, transported and prayed on by the Islamic god, Allah, in accordance with Islamic sharia law”. “It is so unfair of him to target one particular community, like the Muslims,” Dr Khan said. “By the way, we do not condone the violent type of words used to target any group – Jews, Christians or Muslims. Dr Khan said when an animal is slaughtered under halal, Allah’s name is spoken, but no “Islamic chants” are made. He said it was “impossible” for sharia law to be involved in the preparation of foods as Australia is not an Islamic country. THE word “halal” comes from the Arabic language and means “acceptable” or “permissible”. Halal Australia CEO Muhammad Khan said when certifying cheese products as halal, they must be free of non-halal enzymes, emulsifiers, flavours and gelatine. The sources of these must be halal animals or vegetables. The Islamic Council of Victoria said non-halal products include alcohol, anything from pigs, lard, non-halal animal fat, or foods contaminated with these products. The council also said when killing animals for food the slaughterer must be a Muslim, must say the name of God before making the cut, and must cut the animal’s throat in one continuous motion with a sharp knife. There are a number of organisations that provide third-party halal certification, and food businesses are free to seek a commercial arrangement with those organisations. “Animals and food produced in Australia for the halal market have to operate under and comply with food safety and animal welfare laws, the same as any product,” a NSW Food Authority spokesperson said.